With the assistance of skilled and experienced professionals, we are engaged in manufacturing and supplying a superior range of Barcode Labels. 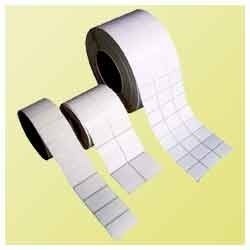 These Barcode Labels are manufactured by our team of experts by following strict manufacturing process. Further, our professionals strive hard in order to design flawless range of Barcode Labels. Our offered range is in adherence with set industry standards and is widely demanded among clients due to its incredible features. 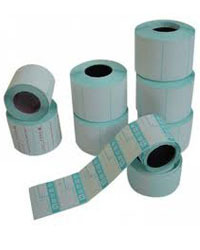 We are providing our esteemed clients with an excellent range of Jewellery Barcode Labels. Our jewelry labels are made of extremely durable materials and are produced to high standards and exacting specifications. To cope with being handled regularly, be cleaned in ultrasonic baths and to withstand the intense heat from window/cabinet lighting, these labels maintains a professional, consistent, high quality appearance. Designed as per customer’s requirements, it is made available at an economical market price.